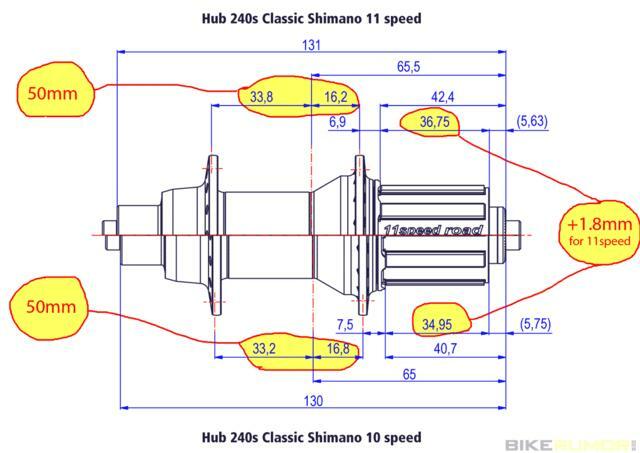 I recently needed to figure out if an unmarked hub was 11 speed compatible and found this chart. Measured the body with my trusty calipers and it was a hair under 37mm, so it seems to be an 11 speed hub. You can also see from this chart why the 1.8mm spacer is required for some 10 speed cassettes on an 11 speed hub.